If you have older kids and are looking for a way to talk about thankfuls, I’ve got you covered too. 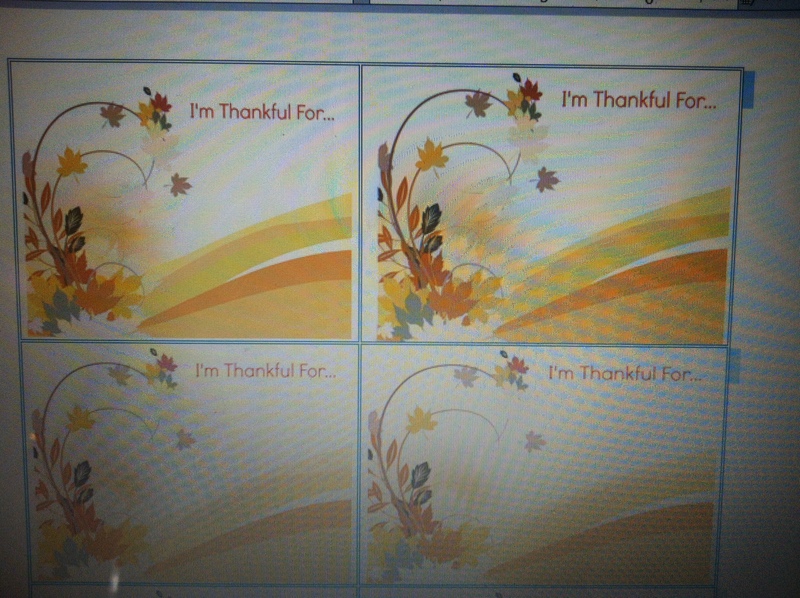 I also created thankful cards, I’d show you a cute photo of them but I seemed to have lost the memory card. 🙁 I assure you–these are CUTE! PREPARE: Print out BINGO cards for each child plus an extra for the call sheet. Cut out the call sheet and put the squares into a hat or bowl. 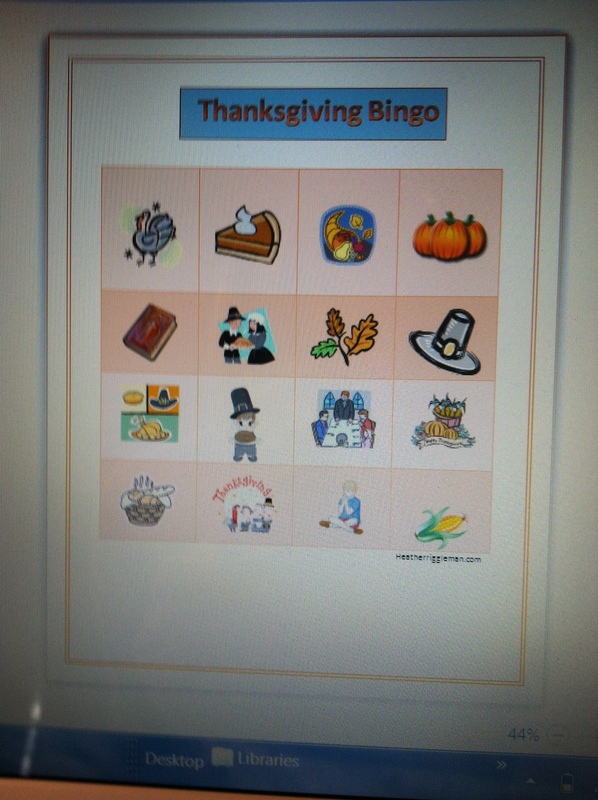 DISTRIBUTE: Hand out one Bingo card to each child (each card should be different). CALL: The caller should pull out one image, describe it and show it to the children. MARK IMAGE: The children will then place pennies, rocks, candy, fun foam pieces or something similar on the called image if it is on their card.